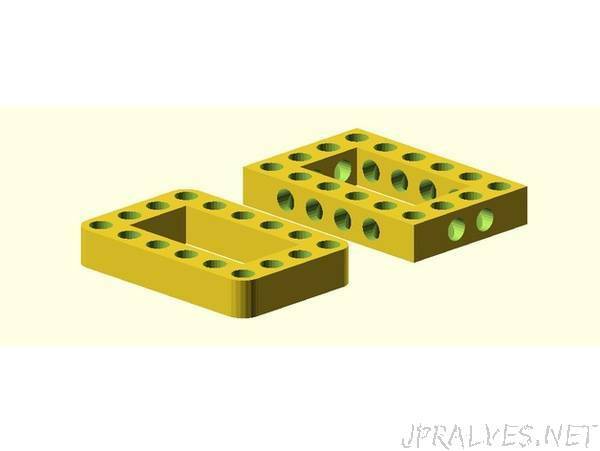 “Openscad Bitbeam library for easy create Bitbeam https://bitbeam.org/, M-Bitbeam http://www.tfsoft.cz/m-bitbeam/, LEGO® Technic or Clementoni® compatible parts. I create this library because some other libraries don’t have all what i want. First I create my own extends, that i create one library with full functionality which I want.